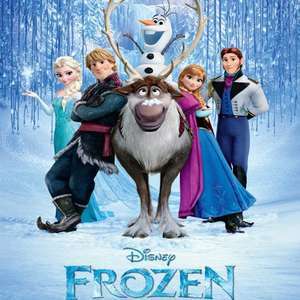 24 hour deal on the soundtrack from the 2013 Disney movie Frozen. Can you download and put it on your ipod? I was wondering that too ? Can you download it as a mp3 or whatever as I have a windows phone I use as a mp3 player so...........!? H!mmm ,I don't have a device with a SD card only a 2012 nexus ,any idear how to get it off this to a PC? Google Play seem to have had quite a few decent music deals recently. I wonder how long it'll take Amazon to match them this time? H!mmm ,I don't have a device with a SD card only a 2012 nexus ,any idear … H!mmm ,I don't have a device with a SD card only a 2012 nexus ,any idear how to get it off this to a PC? Just follow the steps here and you can download directly to your PC. Just follow the steps here. Brilliant price and fantastic album. Click on the Buy button at the top next to the album cover. Thanks Op, just bought. Just need to watch the movie now! If I have to listen to my four and two year old sing 'let it go' one more time I'm actually going to go mental! If I have to listen to my four and two year old sing 'let it go' one more … If I have to listen to my four and two year old sing 'let it go' one more time I'm actually going to go mental! Oh no I didn't get that message and have bought it already. Has anybody had any issues with this before? Cheers op, just downloaded and its in my itunes library now! Haha, 'let it gooooo, let it goooooo...'. My kids have been warbling that on loop for weeks. That song is more depressing than Leonard Cohen! Hopefully amazon will price match. Sorry, it's in your head now!! Thanks OP! Family will be happy to have this.